Homilies and various reflections of Cardinal Justin Rigali on the Catholic faith. Our greatest boast is the Cross! On the Cross we find the Lamb of God who takes away the sins of the world. The Lamb was pierced for our offenses and upon him was laid the guilt of us all. 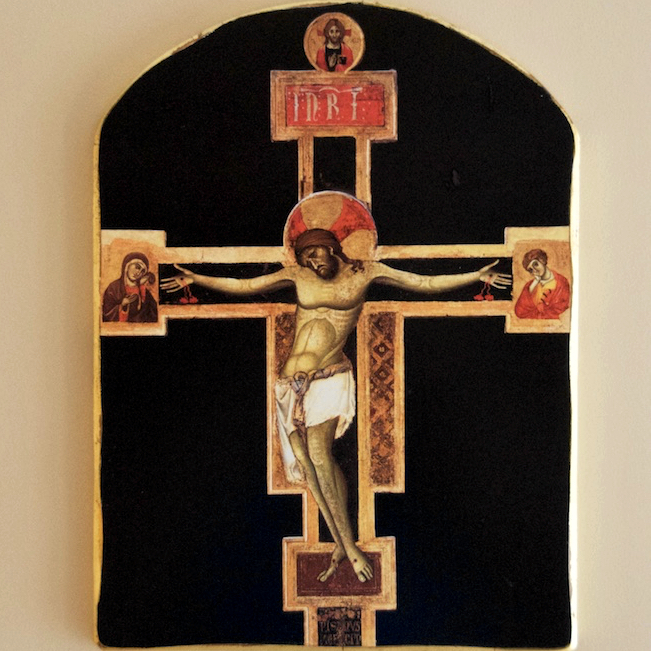 The death of Christ on the Cross becomes the cause of life and immortality for us all. As we see Christ die, we proclaim his victory and entrust ourselves to his mercy. The Cross is truly the throne of grace; it is the source of mercy. Looking up to the one hanging on it, we pray: "Jesus, I trust in you." Homilies copyright © 2017 Cardinal Justin Rigali. All rights reserved.